The threat of a Palestinian crisis is important because of its potential to disrupt the Syrian-Israeli relationship and Syria's relationship with its own large Palestinian population, and because of the sense of responsibility Syria has for its Palestinian residents. Determining the importance of Palestinian crisis to other threats to the country. 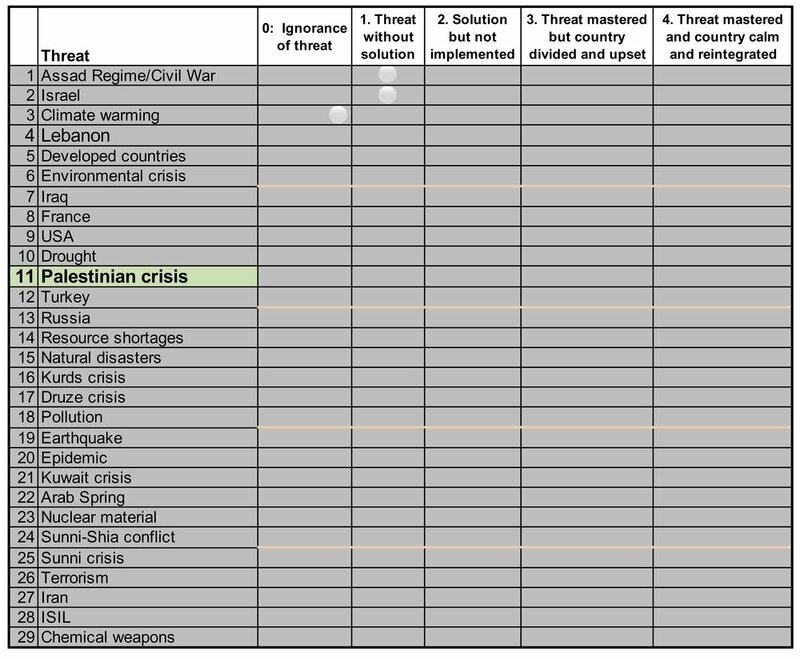 As shown in the chart below, the threat of a Palestinian crisis ranked 11th most important.